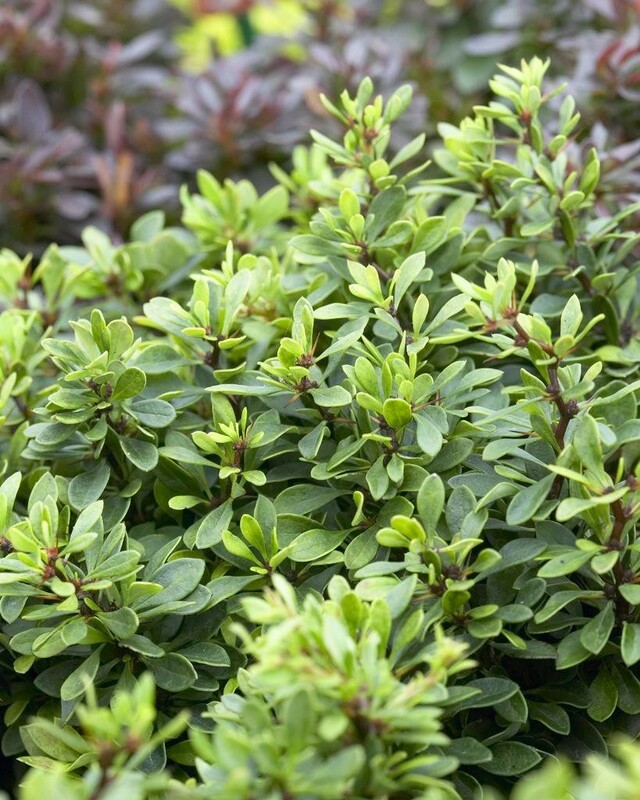 'Kobold' is a rounded, deciduous shrub. It has a very compact, bushy habit, only growing to a maximum height of 60cms. Mostly grown for it's bold and highly attractive bright green foliage. Small, yellow flowers bloom in Spring and are followed by red berries in Autumn and Winter although these are insignificant compared to the foliage and shape of the plant. Will thrive in most soil types and positions although tends to thrive in a position of full sun. Be sure to keep well-drained. 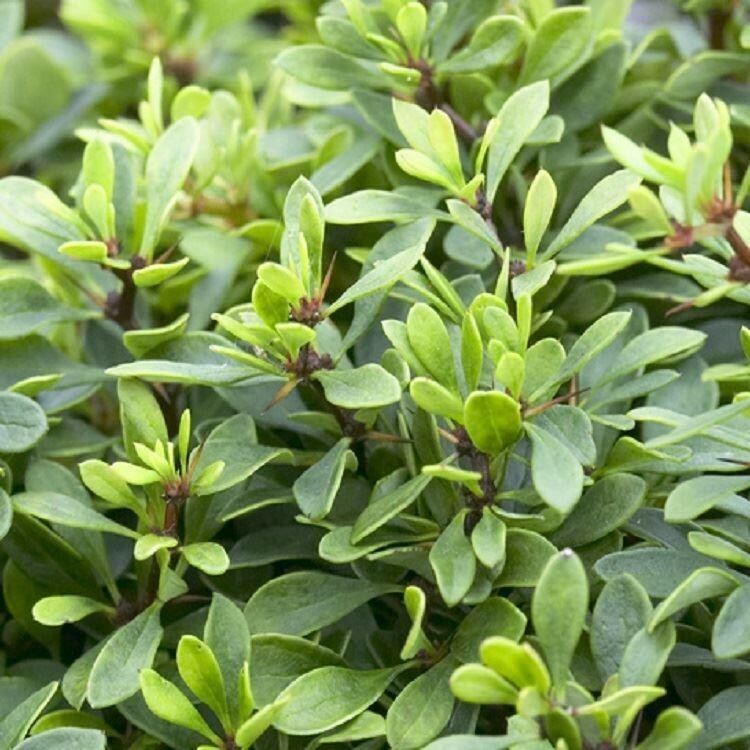 An ideal plant for hedging or for filling space in your garden. Nice, small size so can even be planted in containers or in those small, tricky areas! Strong, bushy plants supplied in approx. 1-2litre containers.